Alma has done it once again with the Once upon a Princess Cartridge. She writes: I changed the ribbon because I didn't have any pink with white polka dot kind and also it asked for green tie for the handles so i substituted with black but everything else is according to the book! 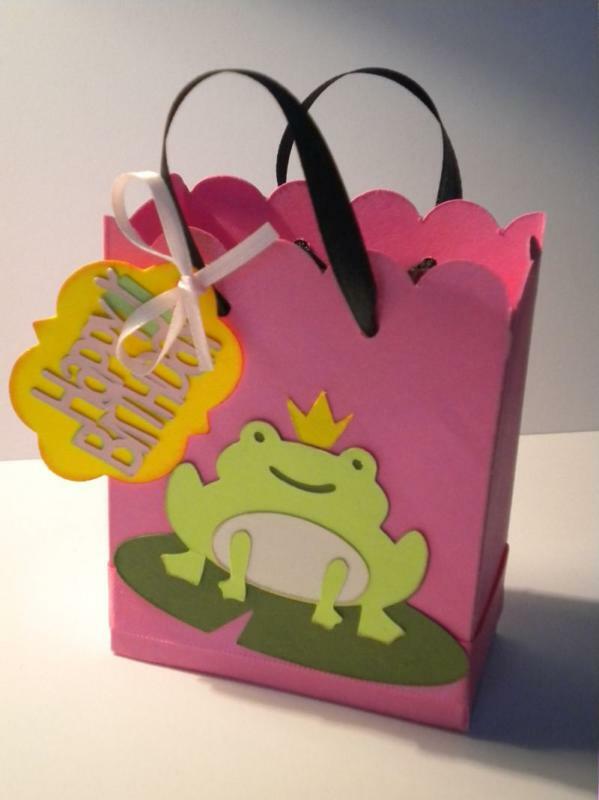 The gift box was cut at 5 1/2" and the Frog (along with it's layers) at 2". The words Happy Birthday were cut at 1" and the tag at 1 1/2".